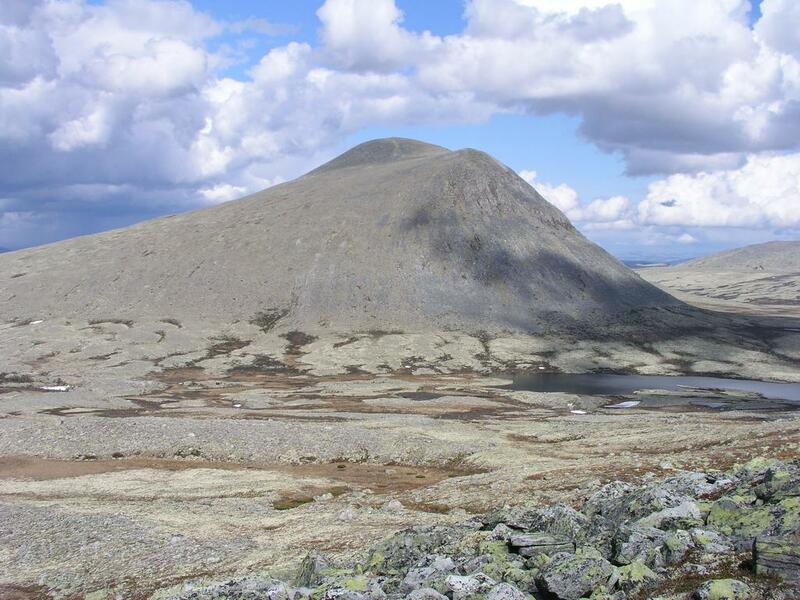 Route description: This description starts in the saddle between 1690 NW of Storsølnkletten and Storsølnkletten (1827m). See the description under Storsølnkletten for the first part of this route. We descended from this saddle towards the north to the basin between the two peaks on gentle snow. Continue the descent north down into Veslsølndalen and head straight across to the slopes of Veslsølnkletten. Hike up this slope on easy terrain to the summit. The return hike directly back to the trailhead proceeds back down into the Veslsølndalen, then along a T-marked trail that climbs gently and contours around the north ridge of 1690, NW of Storsølnkletten. This trail forks (there is a sign there) near its highest point (approximately 1115 m). Turn right and follow the trail down to Klettsjøen, then the same trail back as described under Storsølnkletten. Comments: See comments under Storsølnkletten. 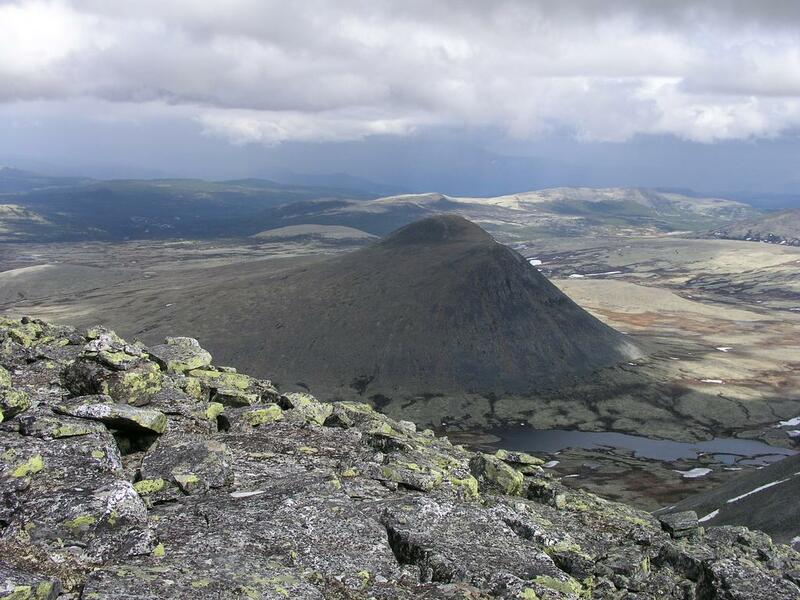 Veslsølnkletten as seen from the summit of Storsølnkletten. Veslsølnkletten as seen when descending from Storsølnkletten.